Our purpose of existence is to bring this precious olive oil that our land has gifted us to all the households of the world. We believe that once one has discovered this precious olive oil, it will become an integral part of one’s daily life. Our plan is based on the advantages we have. We know all the great history and tradition of this magnificent product, from the place it was born. We are also continuers of this tradition. We abide by the same methods used from our past generations in order to get the highest quality olive oil. We gave our product a name and a label that has the universal respect, just as it deserves. We have the exclusive variety of extra virgin olive oil ” koroneiki ” and know how to maintain this high quality. As the legend says the name of the city Athens came from Goddess Athena who brought the olive tree to the Greeks as a gift. Zeus had promised to give to the city the name of the god or goddess who would make the most useful invention. Athena gifted an olive tree to Zeus, useful for light, heat, food, medicine and perfume. The olive tree was picked as a more useful invention than that of Poseidon, a big puddle of seawater. 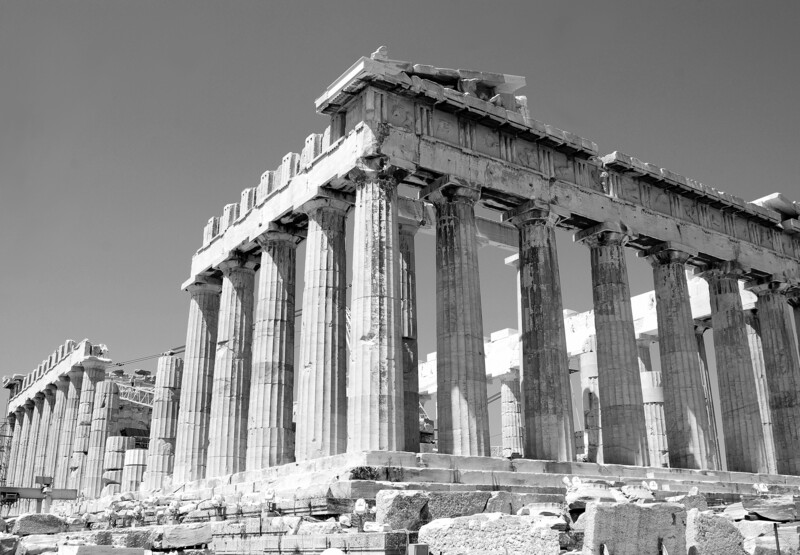 Athena planted the original olive tree on a rocky hill that we know today as the Acropolis. The olive tree can be found today at the Acropolis which is said to have come from the original roots of the tree. With the passion for olive oil and the family tradition is what inspired the founders of the EU Olive Oil Ltd John and Nicholas, as successors of a third generation olive oil producers, to get involved. 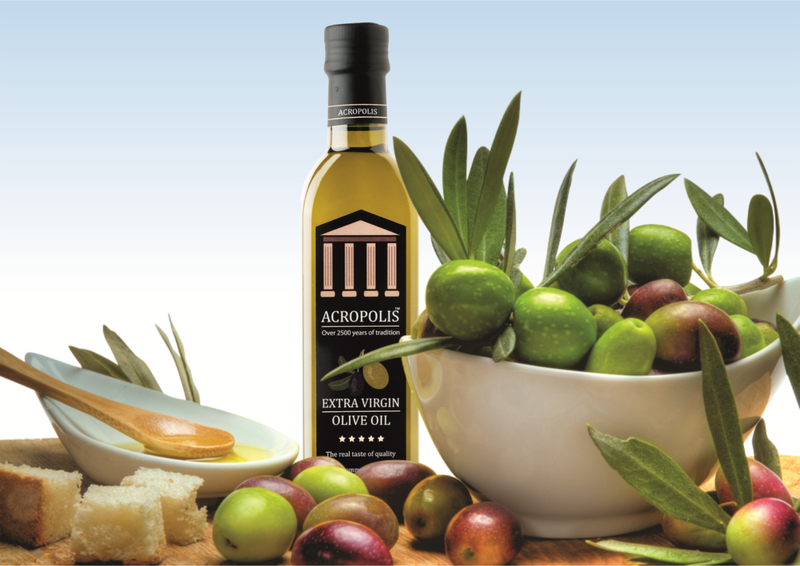 The creation of the Acropolis olive oils, combines the historic tradition and quality of the name that is been displayed for over 2500 years worldwide, with a range of products that comes strongly from the best varieties of olives in the world. With all these advantages in mind, EU Olive Oil Ltd can satisfy, in the most adequate way the most eclectic customers with the highest quality and taste worldwide. 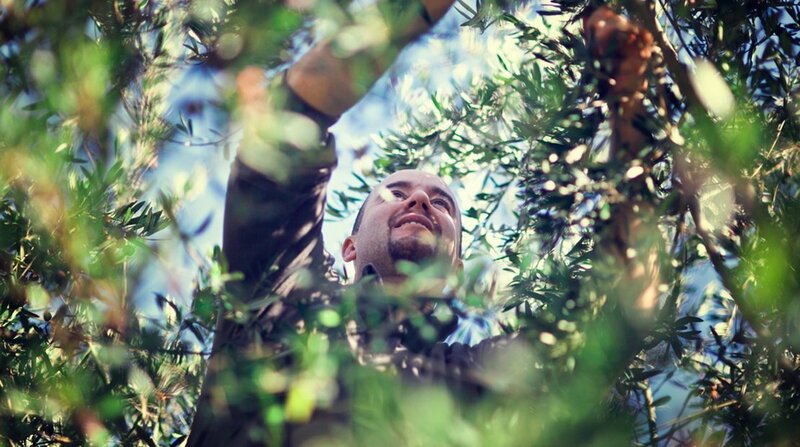 The harvest for our fresh olive oil starts in autumn in the beginning of the winter, which lasts for several weeks. The harvest is done by hand with special rake that pulls of the olives from the tree and drops them into a net which is then placed into sacks. As a result, the fruits are not getting bruised, something that leads to an extremely high quality final product just like range of Acropolis’s olive oils. The sacks are then transported to the olive oil mill on the same day of harvest. At the mill the first process that takes place is the removal of the olive leafs and washing the olives. Then the crushing and the mixing of the olives is done by machine, traditionally by a hand mill made from a rolling stone. The next process is the separation of solid pomace and liquid constituents of the olives. Then the centrifugal separation of the liquid into virgin olive oil and vegetable water is done. Following on is the retention of the olive oil into tanks so that it clears by itself through natural sinking of the deposits. Then the filtration process occurs, which is done through filter paper, cleaning the final produce. Once completed the olive oil goes through to our quality control procedure and is sent for quality analysis to an independent party. Finally if the quality falls under our stands we then bottle it at our state of the art bottling plant and the final product is then shipped accordingly.